Wilford Woodruff served a mission in Great Britain in the 1840s. Because of his service, more than 1,000 people were baptized. 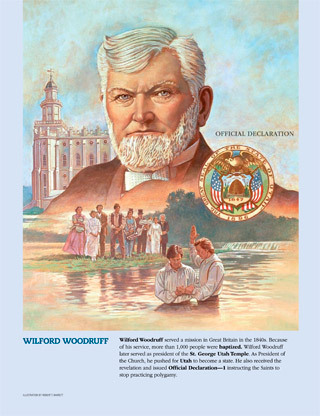 Wilford Woodruff later served as president of the St. George Utah Temple. As President of the Church, he pushed for Utah to become a state. He also received the revelation and issued Official Declaration 1instructing the Saints to stop practicing polygamy.